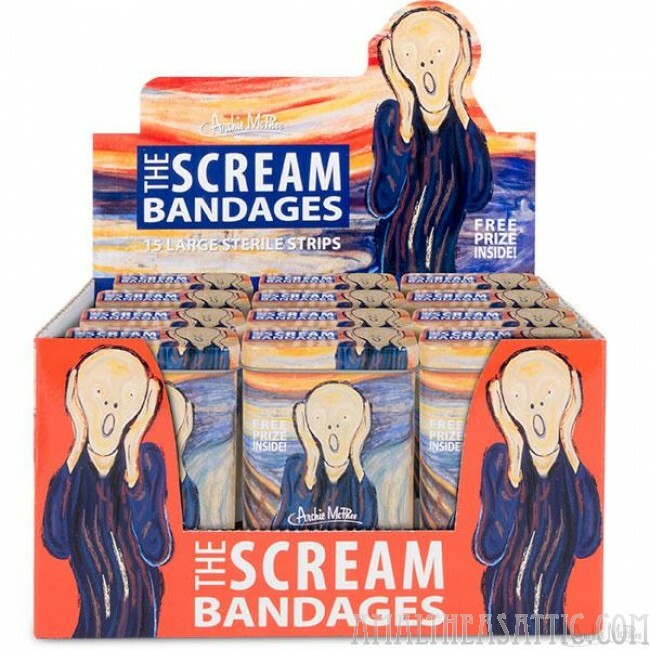 Edvard Munch’s The Scream is an expression of existential pain, so we thought it would be the perfect thing for dealing with actual owies. 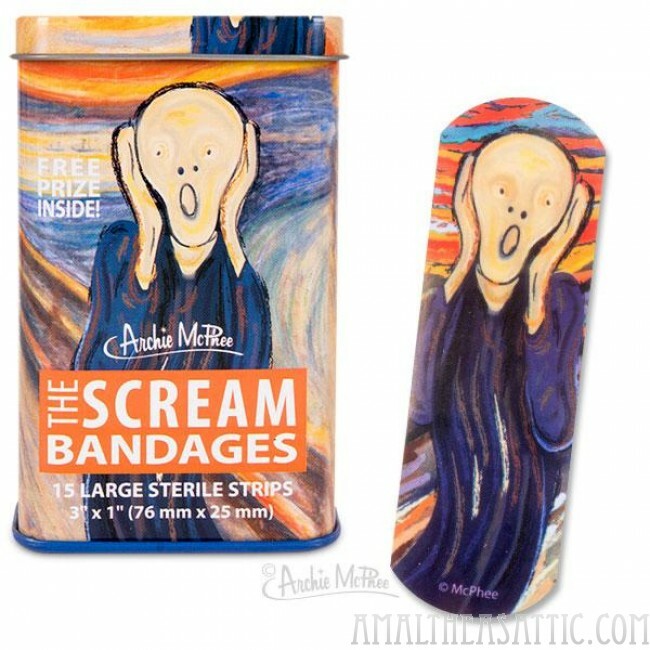 This 3-3/4" (9.5 cm) tall metal tin contains fifteen 3" x 1" (7.6 cm x 2.5 cm) adhesive bandages decorated with the familiar screaming figure. Stop your screaming with a scream! Plus, a FREE PRIZE! Latex-free with sterile gauze.